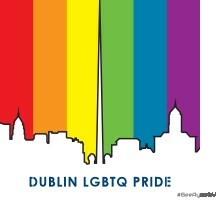 We know that so many of you are eagerly awaiting information on plans for Dublin LGBTQ Pride Festival 2017. Well the good news is, we have been diligently working away in the background to ensure that the 2017 festival will be even better than previous years!! However, we can only do that with your help! > If you would like to volunteer, please email [email protected] with your information and we will get you involved. Event Co-ordination – helping the heads of Events & Parade organise our showcase events around Dublin for the festival week. Volunteer Co-ordination – this is basically our HR team, so if you have experience in recruiting and organising teams or would even just like to get some experience, then let us know. Sponsorship – are you a shrewd salesman/woman/person then show us what you’re made of and help us fund the events and parade.